Fear can be something that cripples a person when left unchecked. Pray to God for his protection. Psalm 46:1 and believe that there is nothing to fear. 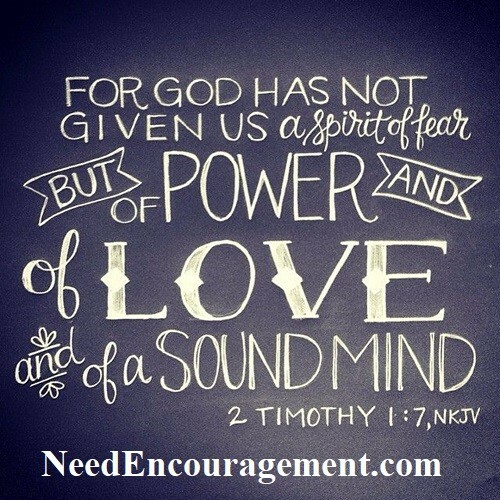 Here are some encouraging scriptures concerning fear. Learn How To Understand Your Fear! Fear Is Both Good And Bad! Fear has no power unless we run from it instead of rising to it! The more a person fears and respects God, the more he or she will hate evil and run from it. Love for God and the love of sin cannot coexist. Harboring secret sins (only you know what those are) means that you are tolerating evil within yourself. Make a clean break today with sin and commit yourself entirely to God. Because God Loves You And He Has A Plan For Your Life You Need To Discover! How do you know for sure that you can overcome fear in your life? I do not mean to overcome the fear of God, but rather the fear that paralyzes us and cripples us from being the person you were hoping to be. Overcome Fear And Find Purpose Through God! 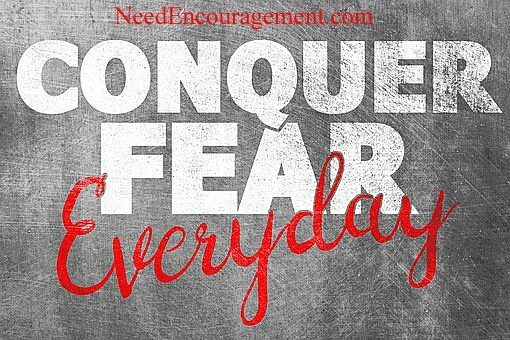 Fear Is A Nowhere Dead End! The Lord assures us that we ought not to be afraid, yet when we are struggling with fear it makes it hard to take that assurance to heart, but it can be accomplished if we trust God to be our strength. With God’s help, I have made it through many types of different fears in my life, and without God, I could only wonder how I made it through. I can see now that I have learned that fear will either cripple a person or motivate them to do more than they ever could do before. Do You Have A Fear Of Making Mistakes? When You Trust In God You Can Live Fearlessly! Matthew 8:24-26 Suddenly a furious storm came up on the lake so that the waves swept over the boat. But Jesus was sleeping. The disciples went and woke him, saying, “Lord, save us! We’re going to drown!” He replied, “You of little faith, why are you so afraid?” Then he got up and rebuked the winds and the waves, and it was completely calm. How To Never Fear Again! Keep Your Eyes On God Not Your Circumstances! 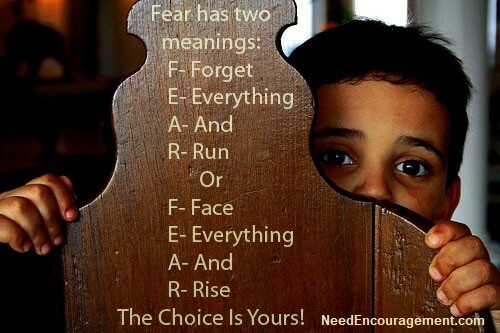 Fear vs. Faith? It Is Up To You! Do not allow fear to stop you from what you need, or want to do in life! Start with prayer and realize that God loves you. We hope you know that whatever you are personally going through there are solutions if we keep our eyes on God. Relationships can be the hardest ships to sail, learn how to navigate them more productively. Thank God first for how He has blessed you, pray for others you know, pray for yourself. Pray as if you are talking to a friend (God is your friend right?). Do as it says in 1 Peter 5:7 cast all your anxiety on Him because He cares for you! Check out our website. You will find over 400 pages of encouragement, many links, videos, and text. Keep things as simple as you can; confusion is not from God. Realize that you are worthy of love and respect, God created you and has a plan for your life. Have confidence in the Lord and do not fear, for He will never leave you or forsake you! Are you full of courage, or are you generally afraid? How are we supposed to walk through the valley of the shadow of death? What does it mean to have a fear of God? What does the Bible say about being afraid?